Ajax boss Peter Bosz has admitted that the Eredivisie club are expecting Riechedly Bazoer to leave in January. Arsenal, Chelsea and Manchester City are among those to have been linked with the 20-year-old central midfielder, while Barcelona are also circling. 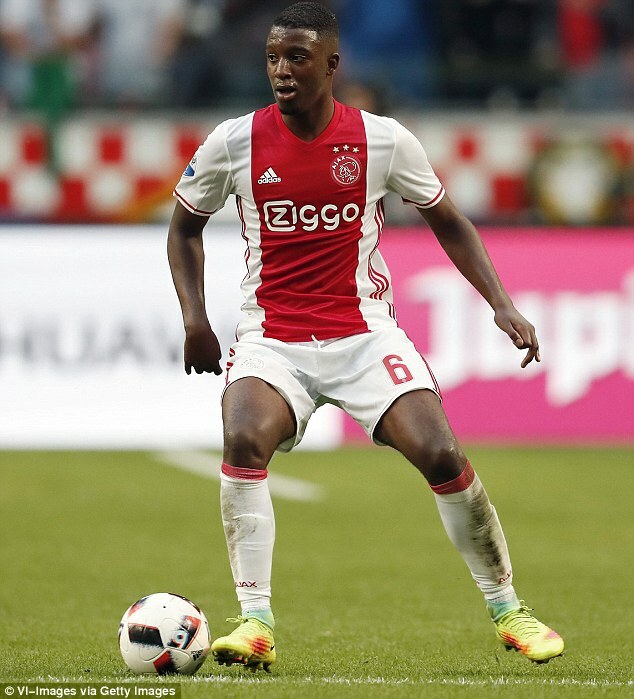 Bazoer, who has appeared for Holland six times, is set to be subject to several bids after Ajax declared they will allow him to be sold. Bosz told Ajax’s official website: ‘After talks with Riechedly I assume there is a big chance that he is not with this team any more after the winter break. Bazoer is not inAjax’s squad to face Standard Liege in the Europa League on Thursday. He has made 51 league appearances for Ajax since breaking into the first team in 2014-15. Next articleThe most valuable XI in the world… and Cristiano Ronaldo isn’t in it! Real Madrid goalkeeper Keylor Navas spies Juventus move.